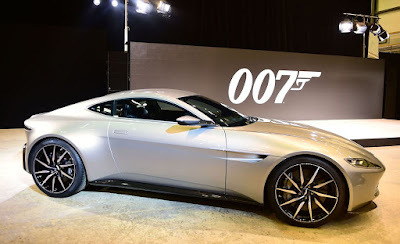 Jaguar Land Rover has revealed three of its models are to feature in the forthcoming James Bond film Spectre. The Jaguar C-X75 supercar, Range Rover Sport SVR and Defender Big Foot will all play a role in the next instalment of the long-running Bond franchise. All the vehicles for the film have been provided by Jaguar Land Rover Special Operations. The Jaguar C-X75 will feature in a high-octane car chase sequence through Rome alongside the Aston Martin DB10 - another Midland-made car set to play a leading role in Spectre. The C-X75 vehicles have been built in collaboration with Williams Advanced Engineering facility in Oxfordshire. Scenes including the heavily modified Land Rover Defenders and Range Rover Sport SVRs have already been filmed in Austria.